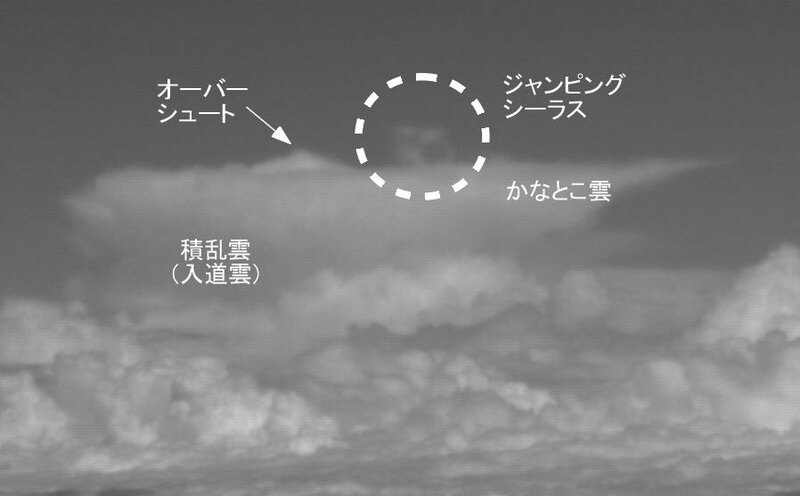 The main aim of this research is to record a cloud which jumps 1-2 km from a top of cumulonimbus clouds. It is called a jumping cirrus cloud and it looks like a whale squirting. Because we cannot see it in our daily life, little is known about it. We had tried its video recording at the Fuji observatory for a month. We succeeded to record a few cases of jumping-cirrus-like clouds.